First Nerve: Parlux vs. Jay Z: Why does a celebrity stop promoting his own fragrance? Parlux vs. Jay Z: Why does a celebrity stop promoting his own fragrance? 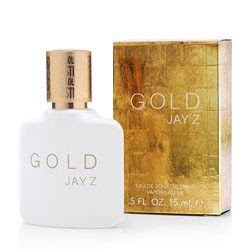 In January, Parlux Fragrances filed an $18 million lawsuit against Shawn “Jay Z” Carter and his company for allegedly failing to promote the Gold Jay Z fragrance as explicitly set out in the contract. Parlux also claims Carter refused to participate in the development and launch of flanker products, and that as a result sales of the stand-alone fragrance withered. The Parlux complaint asked for Carter to return 300,000 shares of Perfumania stock (Perfumania is the parent company of Parlux) and 800,000 Perfumania stock warrants that he received as part of the licensing agreement. Parlux also demanded $18 million for compensatory and punitive damages as well as legal fees. Via my reporting on Twitter @scienceofscent, you can see the legal jousting took a while to get going. Well, Jaz Z’s legal team made good on the extended deadline and filed an “Answer and Counterclaim” on May 6th. That same day I kicked off a long visit to California and a short one to Texas. Only now have I managed to wade through all twenty-two pages of Jay Z’s response. Jay Z denies most of the allegations in the Parlux complaint. In his own defense, he accuses Parlux of unreasonable delay in bringing its claims, of acting unethically or in bad faith, and contends that Parlux has not, in fact, suffered actual (as opposed to speculative) damages. An award of damages to [Shawn Carter Enterprises] and Shawn Carter [personally] in an amount to be determined at trial, presently including past due royalty payments of at least $1,187,500, past due advertising shortfall of at least $1,528,425, and other damages including, but not limited to, future lost profits, lost goodwill, and lost business opportunities. I think I detect, under this mass of tangled cross-dealings, what may have motivated Jay Z to cease promoting his celebrity fragrance. Recall that Jay Z originally licensed the commercial use of his name to Shawn Carter Enterprises (SCE) which he owns 100%. SCE then licensed the perfume rights to Artistic Brands Development (ABD) on April 18, 2012 in return for stock, upfront payments, guaranteed future royalties, and guaranteed spend on brand advertising. That same day ABD sub-licensed the perfume rights to Jay Z’s name to Parlux, which assumed all the rights and obligations of ABD under the license agreement. This is the basis on which Jay Z now counterclaims payment from Parlux. Here’s the weird wrinkle: 40% of ABD was owned by Marcy Fragrance Trading Co. LLC, a company 100% owned by none other than . . . Shawn Carter. So it looks to me like Carter wrote a nice, plump deal with himself, and convinced Parlux to agree to pay for it. Which they apparently did, to their eventual regret. If, as he now claims, Parlux failed to deliver on the minimum guaranteed quarterly royalties that Jay Z had negotiated with himself, the lack of an ongoing income stream could explain why he lost interest in making any active contributions to the promotion and brand extension of Gold Jay Z.
It’s hard to feel much sympathy for either side in this dispute. The lawsuit discussed here is Parlux Fragrances, LLC et al. - v. - S. Carter Enterprises, LLC et al., Case 650403/2016 - New York County Supreme Court. Whether we like it or not, the truth is that the lives of celebrities are scrutinized with magnifying glass-curiosity by the paparazzi, the media and fans alike. In fact, celebrities rule the airwaves and gossip columns today. Every little detail of a celebrity's life is usually big news among the public at large, and one such aspect is the celebrity wedding rings flashed by our favorite star couples.